It won’t be strange to see people merging several PowerPoint files into one presentation, especially when a project is done by a group of people and each takes care of their own part. How to combine PowerPoint slides becomes a frequently asked question and this makes me want to share you with some common and fast ways to combine PowerPoint files. 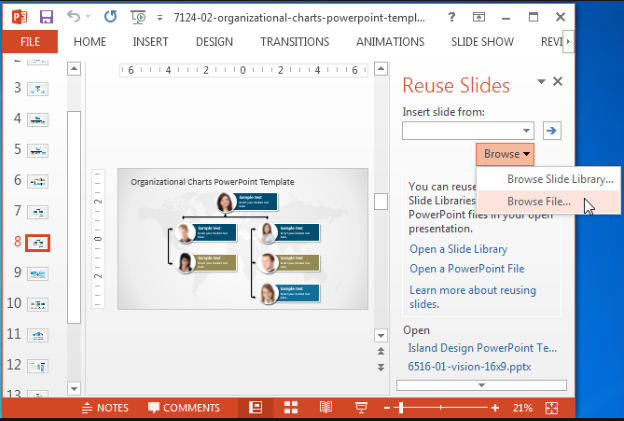 The first way to combine PowerPoint slides is by using Office PowerPoint. That is to say, you can merge PPT within the PowerPoint. Do as follows to merge PPT. Step 2: Select the slide where you want to merge with other slides, then copy and paste the slides here. You need to choose whether to retain original format or follow the target format. 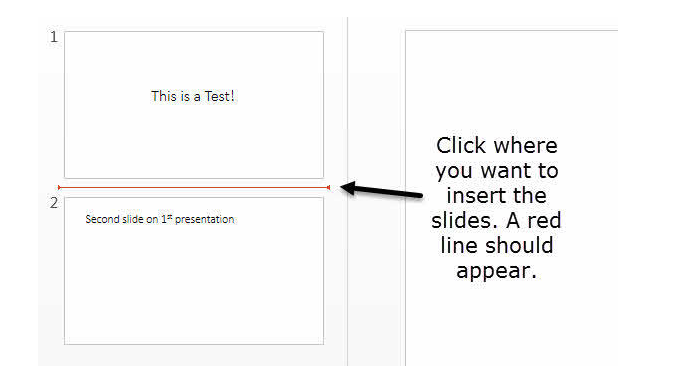 Or, you can click Insert to include other slides to the existing presentation. It goes like this. Step 2: Click Insert and choose New Slide. Step 3: On the displayed page, choose Reuse Slides. Browse the files and choose whether to keep source formatting. By doing this, you can merge PPT easily but note that if you want to apply the existing presentation theme, you should click Apply Theme to All Slides. The other efficient way to merge PPT is to use third party apps. Here are two professional media tools -Leawo PowerPoint to Video Pro and video converter to help you combine PowerPoint slides and videos. 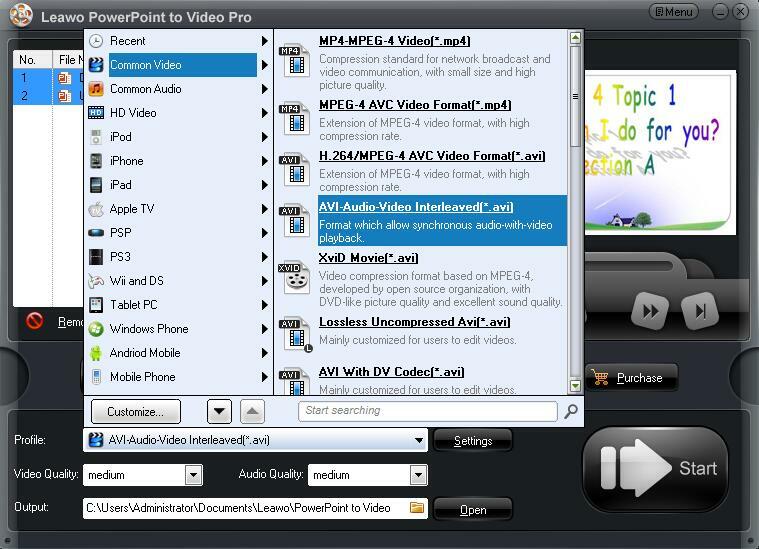 Leawo PowerPoint to Video Pro is a PPT to video converter, which supports all kinds of video formats and provides a wide range of features to make PowerPoint files more powerful. 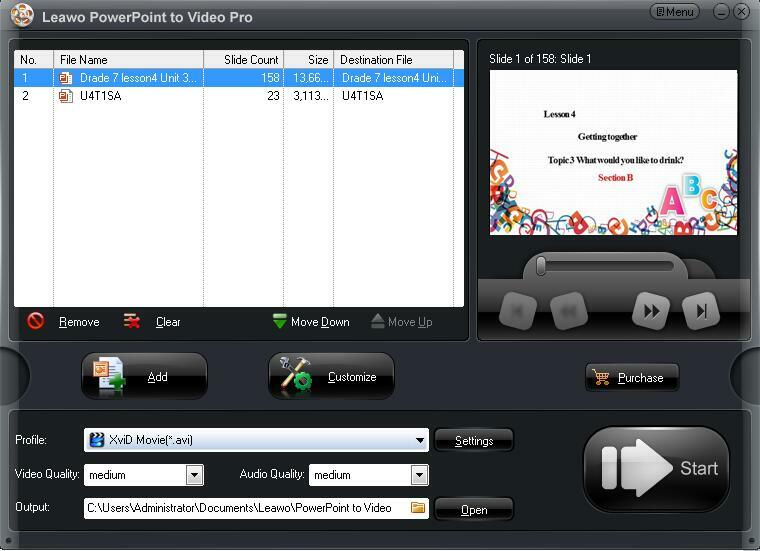 You can firstly use this app to convert PPT to video and then combine PowerPoint files with Leawo Video Converter. To let users make their PPT files more vivid, this program even provides various features to achieve unique file style. Such as converting powerpoint to video with background music, adding logo or watermark to protect your PowerPoint and so on.The simple user interface will guide you do the conversion step by step. 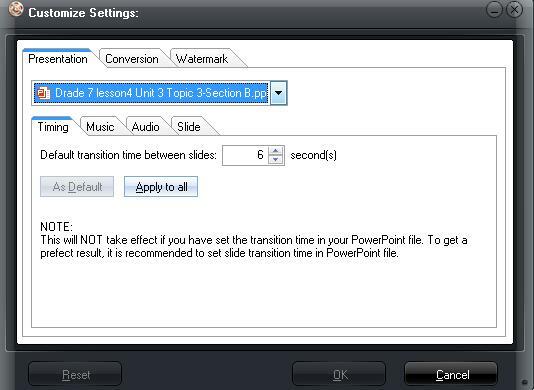 Take a look right now to see how to convert PPS to video with this professional PowerPoint to video converter. Click the buttons below to download and install . Step 2: Launch Leawo PowerPoint to Video Pro and add source PPT files. Click Add to import the source PPT files. From the Profile drop-down list, select an output format. Then, specify a directory to save the converted file. 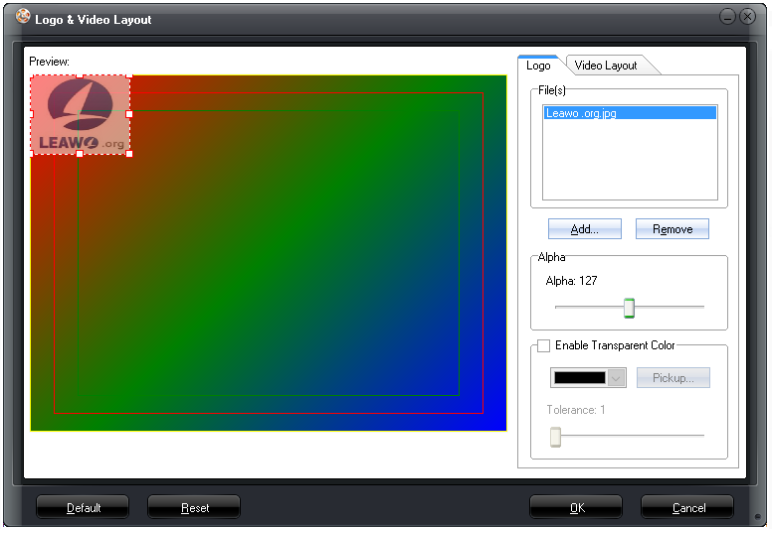 Click Customize to set file parameters, such as video quality, audio codec, bit rate, background music etc. Step 5: Add a logo to the file. Click Watermark from the Customize settings pane to add a logo to the file, ensuring copyright of the PPT owner. Step 6: Convert PPT to video. Click Start to convert PPT to video by now. After it completes, you should have your videos ready for merging into one. Finally, follow the below tutorial guide to merge files into one with Leawo Video Converter, a professional video converter that is able to support 180+ formats and provides 6X speed. It is capable of preserving 100% of source file quality, all of which make this app stand out from peers. Click the button below to install it on your computer. Step 1: Launch the app and click Add Video to import the converted PPT to the app. Step 2: Hit the merge into one icon next to the big green Convert button to merge all files into one. After all is done, you will receive an all-in-one file. By comparison, to combine PowerPoint files within Office PowerPoint and Leawo PowerPoint to Video Pro and Video converter have their own pros and cons. See the below table for details. Retains all original elements like animations, transitions, video clip etc. All in all, Leawo PowerPoint to Video and Video Converter are two efficient and professional tools to convert PPT to video and combine all files into one. After converting PPT to video, you can reduce the file size significantly compared with simply combining PPT in a larger file. Moreover, turning PPT into video will make the presentation more vivid and attractive, thus catching the attention from audiences more. To protect the owner’s copyright, adding logo is also worth the effort. Enjoy and have fun with these apps.